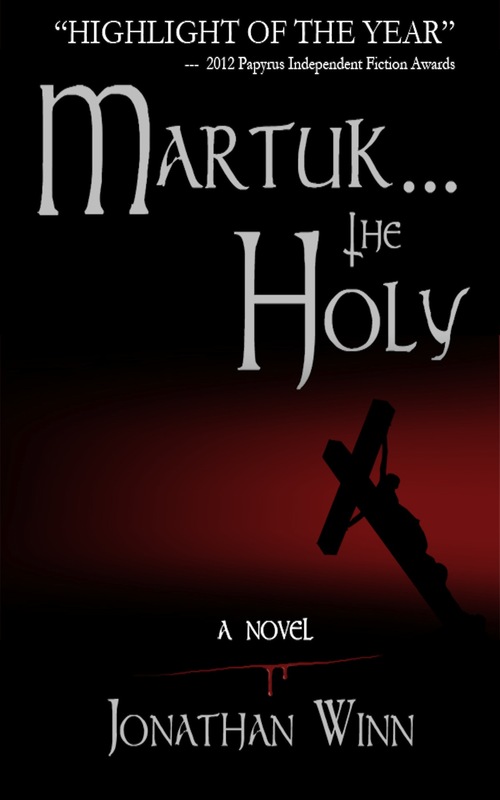 Here’s my new, fancy-schmancy cover for Martuk … the Holy. Ebook covers should go live soon-ish. Print hopefully in a week or so. Many thanks to my kinda sorta always forever cool graphic designer Timothy Burch. All kinds of talent here, kids. He took a breath, the words coming, swollen and thick and carried on the stench of impending death. He released me, pushing me away. His hands reached to remove the cloth. They were unseeing globes of wounded white. He spoke, crimson tears staining his scarred and bloody cheeks as he blinked. Behind me, the Old Man bowed, the rustle of his garments distracting me. “It’s here,” my brother, the King, repeated, the wounded globes now closed. Eyes rimmed red, sallow skin the color of sun-bleached sand, holes where healthy teeth had been only hours ago, each heavy step a great effort, she approached. How about an excerpt from my book Martuk … The Holy? Pen at rest, she sat back, looking at me, her fingers fondling the silk scarf tied beneath her chin. I had stumbled upon her speaking in a bookstore on Boulevard Saint Germain. An American author and PhD, she had written a slender, earnest tome on ancient religion, a popular work weaving archaic beliefs and myths with those principles we hold in our modern world. Intrigued, I stopped to listen. Learning of her second life as a psychologist, I requested her card. And now here I sat, fighting the urge to lunge at her, lift her by her slender neck and slam her against the wall, the back of her skull smashing against the diploma, shards of glass raining to the floor. Of ripping the expensive cloth protecting her tender flesh, tearing the skin between her breasts, cracking open her rib cage and stealing her heart, that feeble ball of cold, uncaring muscle. Void of compassion. Of understanding. The glistening lump now anemically beating in my monstrous red paw. My fingers puncturing those delicate sockets above her nose to pluck out the slimy dark nuggets of judgment. Of disapproval. The fantasy of spiriting them from their safe little caves to roll about in my palm now obsessing me. “I feel your frustration,” she lied, staining the white with more scribbling. I suppressed the urge to smile. “But it’s important to understand as much as I can,” she continued, her pen again at rest. “About you. Your experiences. Your life. From there we begin the real work of dealing with this feeling of powerlessness. With these dreams. Your nightmares. The pen began its destruction of a new page, the first tossed aside and lying face down. Exhausted by the scratching, no doubt. I shifted in my chair. Demons, she said. I didn’t want to deal with demons. Demons were dangerous. I turned my back on demons long ago. That wasn’t me anymore. “So, you can’t die,” she suddenly said. “Yet you claim immortality. Is that normal?” Her eyes glared at me from beneath a curtain of black bangs. Glimpses of an altar piercing the stars clouded my vision. The chanting of Priests. An unseen crowd cheering far below. Oceans of blood for everlasting life, an Old Woman whispered. Bloody footprints on polished stone. The cloying scent of decaying flesh and the splitting of blistered skin as it roasted under an unforgiving sun. Lips kissing mine and linen dripping red. Weeping, lying, bleeding, dying, the blade in His hand as He straddled me, both of us lost in the roar of the Darkness. It rocks. 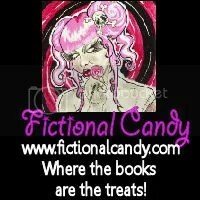 And Liz, the uber-popular blogger over at fictional candy, rocks even more. That being said, I can’t escape 5th Century Constantinople. The rise of Antioch. The slow sinking of that desperate, fumbling power-that-was Rome. My mind drawn again and again to cemeteries and magic and Bishops killing Bishops and Priests slaughtering Priests and Christianity quite literally breaking in two, a chasm that exists to this day. I woke up this morning with them, their arguments becoming screams before exploding into violence. In other words, Martuk … The Holy: Proseuche (ancient Greek for “place of prayer” or “prayer house”), the full-length sequel to Martuk … The Holy is currently obsessing me. Ob-sess-ing me. And that’s good. Really good. But first, I want to pound out Red and Gold, keep the Series going, and then I’ll make the shift into Proseuche. It promises to be a great ride.